These SUVs are equipped to deal with everything you can throw at them, with four-wheel drive and a rugged design that will easily cope with snow and icy roads. What’s more, they’re all family-friendly, packed with the latest tech and offering up to seven seats. It's no surprise to see several Land Rover models appear here - the brand makes pretty much the best off-roaders around. And the latest Discovery Discovery is the best of the bunch. It's a perfect example of a great all-round family SUV. Practical, comfortable and yet capable off-road, it's also ideal for towing. 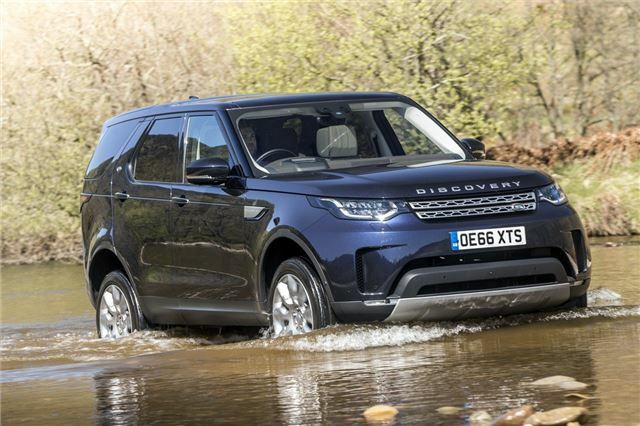 It comes with some useful tech like a 360 degree camera system, which gives the driver a complete view round the car - helpful for off-roading.